Adapt conducts applied research on peace and development topics and makes semi-regular contributions in the press on topics related to conflict and political transition. The full list of Adapt's publications since 2010 are available here for quick reference, and may be detailed further elsewhere on this site. This report provides principles and practical strategies to support peacebuilding via forestry management in Karen-inhabited areas in the southeast of Myanmar. Improved governance of natural resources should be a focus of peacebuilding efforts, as it offers means to 1) mitigate conflict risks that have undermined Myanmar’s previous peace processes, 2) promote respect for pluralism through the recognition of the identities, rights and practices of ethnic minorities, and 3) support the devolution of governance (in this case forestry management), consistent with the goals of creating a democratic federal union. The report builds on examples of initiatives that are already working well, and recommends principles and practical strategies that are sensitive to the current context. This article, which appears in ACCORD's quarterly magazine Conflict Trends, introduces concepts and practices of adaptive mediation. Adaptive mediation is a set of principles and practices that are more suited to the challenges of mediation processes in complex environments. Adaptive mediation in the context of resolving interstate or intrastate armed conflicts recognises that uncertainty is an intrinsic quality of complex social systems, not a result of imperfect knowledge, inadequate planning or poor implementation. Adaptive mediation employs tools that anticipate complexity and help mediators of peace processes cope with uncertainty, setbacks and shocks. This work was produced and distributed ahead of the May 2017 national dialog process of Myanmar's peace process. 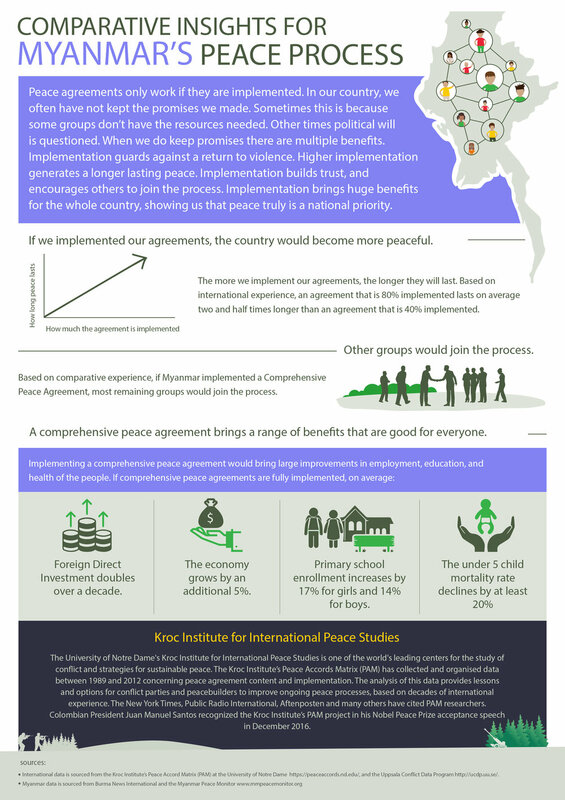 Based on international comparative evidence drawn from the Kroc Institute for International Peace Studies Peace Accords Matrix, the animation addressed contemporary peacemaking challenges in Myanmar. It presents evidence for a peacemaking strategy based on genuine political compromise rather than military coercion, and shows how faithful implementation of agreements builds trust between conflict parties, brings in spoilers, and generates economic and social benefits that justify the initial economic and political costs of peacemaking. This short talk presented to the BuildPeace 2017 Conference in Bogota describes the process and outcomes from implementing systemic action research in Myanmar. The presentation argues that by taking a systems view and empowering local communities in conflict settings to be the agents of change according to the priorities that they themselves define, peacebuilding efforts can be more scalable and sustainable. In this interview to Columbia University radio, Stephen shares about the current situation in Myanmar and his recent work there, speaks to systems thinking and his theory of change in relation to sustainable peace, and gives insights and career advise for current students and aspiring peacebuilders. 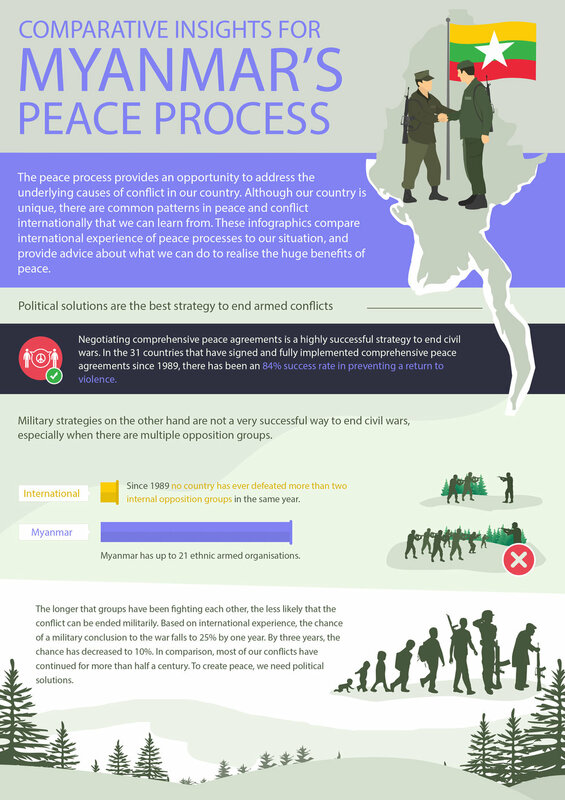 "The peace process provides an opportunity to address the underlying causes of conflict in our country. Although our country is unique, there are common causes patterns in peace and conflict internationally that we can learn from..."
"To genuinely deliver on its promises for peace and reconciliation, the new government will need to build more inclusive parliamentary and non-parliamentary processes than the country has ever seen, without allowing descent into the 'chaotic democracy' the army fears. The critical question is how broad the new government’s definition of reconciliation will be..."
"The success of this process is built on the energy and commitment of local communities affected by conflict in Kachin and Shan States. They are those that primarily suffer the burden of a war that is not of their making, but rarely are they given space to voice their experiences, which so often contain lessons that can guide us towards more effective means of transforming conflict. It is their energy and determination to improve the lives of their people that has driven this process." 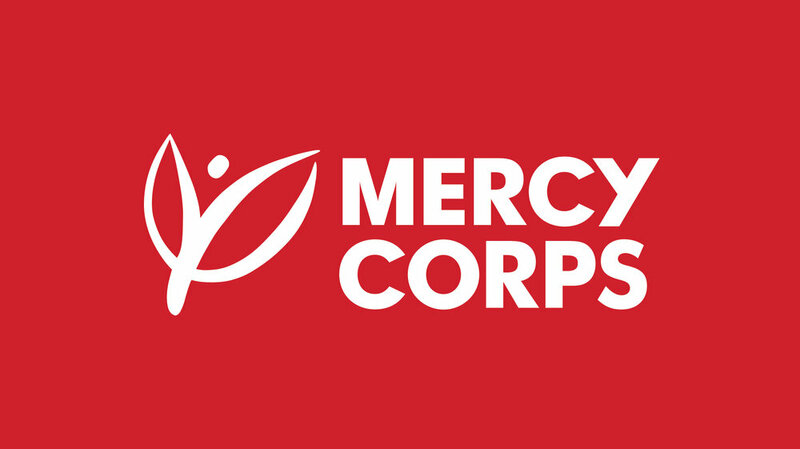 This report, written by Caitlin Pierce in 2015 , was a follow up to 2014’s Intercommunal Violence in Myanmar report and explores specific local dynamics of intercommunal conflict and conflict management mechanisms in Mandalay, Meiktila, and Taunggyi. The study found striking differences between the degree of conflict present in each location, as well as in the capacities of local conflict management mechanisms. A successful transition would also require a resolution to the country’s continuing civil war. The state and Burma’s non-state ethnic armed groups are currently negotiating a political agreement — the nationwide ceasefire — which seeks in tandem to formally end all hostilities while formalizing a longer term process to resolve fundamental power, resource, and rights-based disagreements. To establish a sustainable peace, Burma’s old guard must recognize, at least in principle, the possibility of devolving power and resources to non-state actors within a new, possibly federal state structure. This 2014 report was based on a comprehensive literature review and key informant interviews. The findings detail the root causes and proximate causes of intercommunal violence in Myanmar, examine risks and opportunities for international assistance, and provide recommendations for research and programming. The findings cover discourse and propagandising, geographies of risks, the need for local analysis, the need to strengthen social cohesion and conflict management networks, and other strategies for intervention. 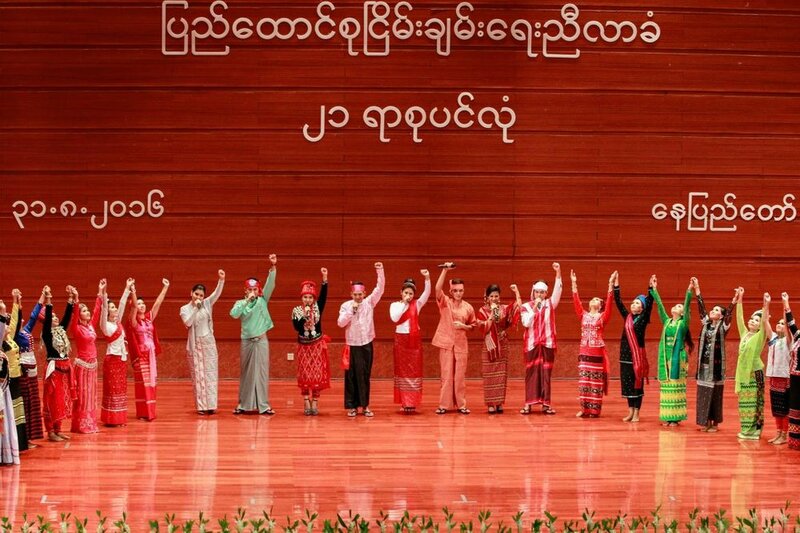 The report underpinned an interfaith peacebuilding program under implementation in Myanmar. Written soon after Myanmar's historic lifting of media censorship, this 2013 assessment for the United States Institute of Peace explored opportunities for media peacebuilding initiatives. Considering citizen-state, intercommunal, and ethno-political conflict, the study combines a media landscape assessment with conflict analysis and recommended media peacebuilding initiatives, which are now under implementation. The study was co-authored with Theo Dolan from USIP. In 2012 Adapt conducted a conflict assessment in Rakhine State, which had just been wracked by intercommunal violence which killed more than one hundred and displaced more than one hundred thousand. The assessment employed a systems methodology and highlighted the causal interdependencies between communal violence and Myanmar's broader ethno-political conflicts. The assessment provided recommendations to support conflict sensitive humanitarian assistance. In 2013 Adapt supported the research and production of the United Nations Myanmar Country Team's first conflict assessment in Myanmar. Based on literature and interviews with several hundred people, the assessment provided detailed recommendations for peacebuildig and conflict sensitive development across all of the United Nations' thematic areas in Myanmar. The final report was not made public. This paper and presentation provides an assessment of a ‘typical local conflict’ between two Dinka clans, based on field research in Jonglei State, using a systemic approach to conflict assessment adapted from dynamical systems theory. This approach not only captures the multiple sources and complex temporal dynamics of the conflict, but can also help identify patterns that are central to the conflict that are unrecognisable by other means (Coleman et al. 2007, 2011). The analysis reveals that typical explanations for local violence in post-civil war contexts such as resource and political competition and insecurity are an over-simplification in this context. These factors undoubtedly influence the conflict, but can be better understood as elements of a dynamical system where the probability of violence is strongly influenced by the clans’ competing desire to maximise group pride. The conflict has resisted transformation because traditional ‘pride-sensitive’ conflict mechanisms have become ineffective, while most interventions by state institutions have exacerbated the conflict. These findings reveal an emotional dimension to conflict that might be overlooked in conventional approaches to conflict assessment and peacebuilding, although the case study is not to be generalised to all local conflict in South Sudan. That the Kachin conflict continues daily and shows no sign of abating despite the raft of ceasefire agreements with other ethnic groups is in itself as reminder to be cautious about the (well intentioned but misleading) pro-reform, pro-peace message that we are hearing coming out of Burma. "like the myth of the invisible hand, peace doesn’t necessarily trickle down. Rather it has to be built by actors working at multiple layers of society over time. In other words, a peace agreement brokered at the bargaining table won’t bring sustainable peace if the population at large continues to misunderstand, disrespect or deny the needs of their fellow citizens. Peacebuilding is the responsibility of many actors working towards a common goal all the way from the grassroots to the governing elite"
"Recognizing a society’s latent capacity for peace is fundamentally different than focusing on problems or confronting an adversary on the battlefield or at the negotiating table. Our research seeks to identify pro-peace constituencies that are either not empowered or not connected to the power structures or change processes that might maximize their positive impact. Using mapping techniques, we identify relationships that need to be built and actors that need to be empowered to positively transform the landscape in which conflict emerges. You might call this fostering networks of effective action."